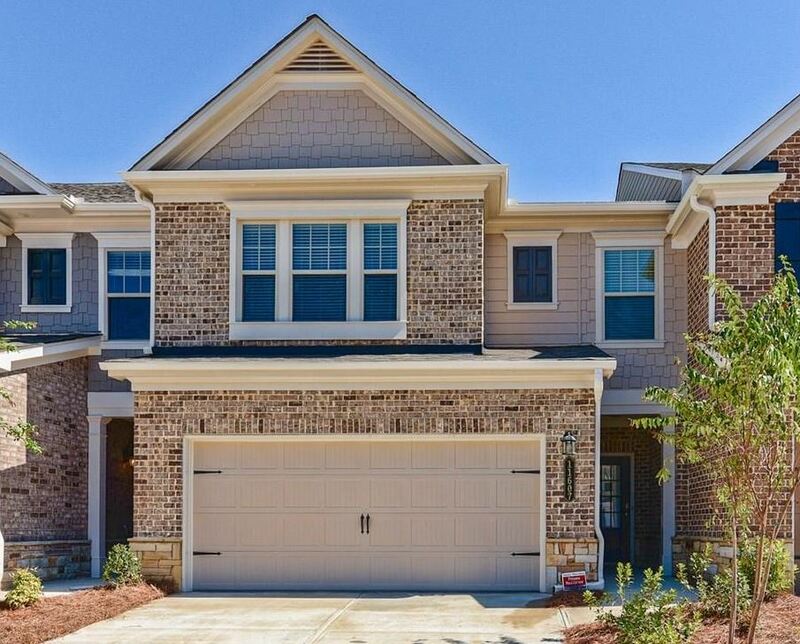 Abbotts Square Townhomes, are a newer built townhome community, located in the City of Johns Creek GA and built by Taylor Morrson builder. These townhome exterior details include a mix of brick, stone and hardie-board and built in the traditional-craftsman style. Most Abbotts Square townhomes built between 2016 to 2017. HOA fees, at time of post, are $130.00 a month with an initiation fee of $500.00 and include the gated entrance and maintenance of the grounds. This neighborhood is a gated community and most townhomes have 2 stories with 3 to 4 bedrooms and 2 car garages. The average list price for a townhome, at time of post as listed in the Georgia MLS, is between $305,000 to $370,000. Location-Directions-From GA 400 North to Exit 10 (Old Milton Pkwy/GA-120). Merge onto GA-120 E toward Duluth/GASU NORTH/METRO CENTER. In 2.4 miles, take a slight left and then take the first right onto Kimball Bridge Road. 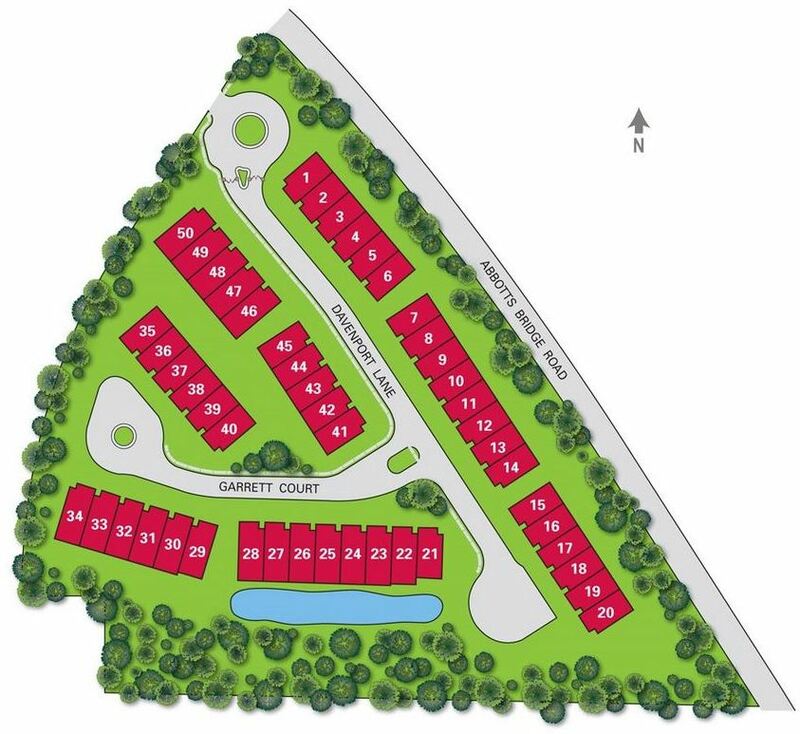 Abbotts Square will be on your right in approximately 1.4 miles. Located near the intersection of Abbotts Bridge Road and Jones Bridge Road and near shopping, entertainment, Avalon and Verizon Amphitheater at Encore Park. Streets in the neighborhood include Davenport Lane, and Garrett Ct. This entry was posted in Schools, Abbotts Hill Elementary, Schools, Chattahoochee High, Real Estate In Johns Creek, Schools, Schools, Taylor Road Middle, Townhome In Johns Creek and tagged in 30005 Real Estate, North Fulton Gated Community, Taylor Morrison.